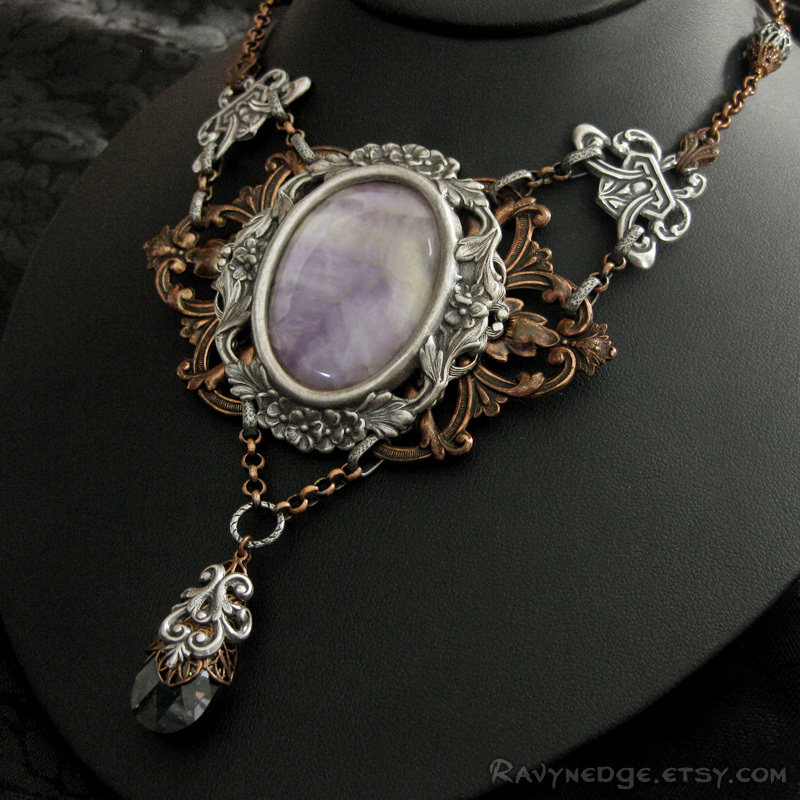 Dreamer's Gate Necklace - Amethyst Gemstone and Mixed Metal Necklace by RavynEdge. 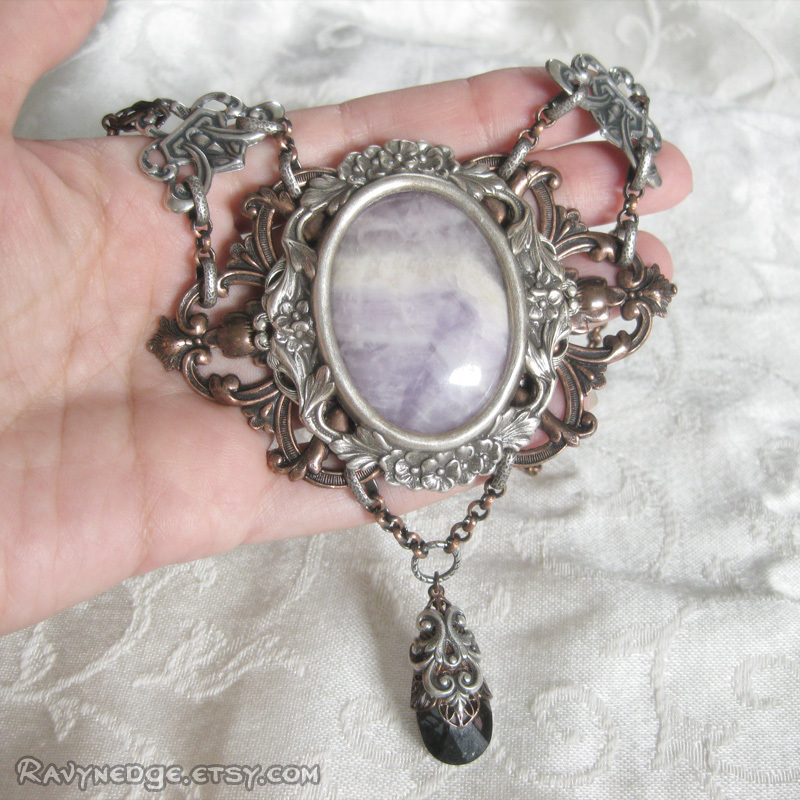 The amethyst gemstone in this one-of-a-kind necklace was reclaimed from a vintage belt buckle owned by my Grandfather. 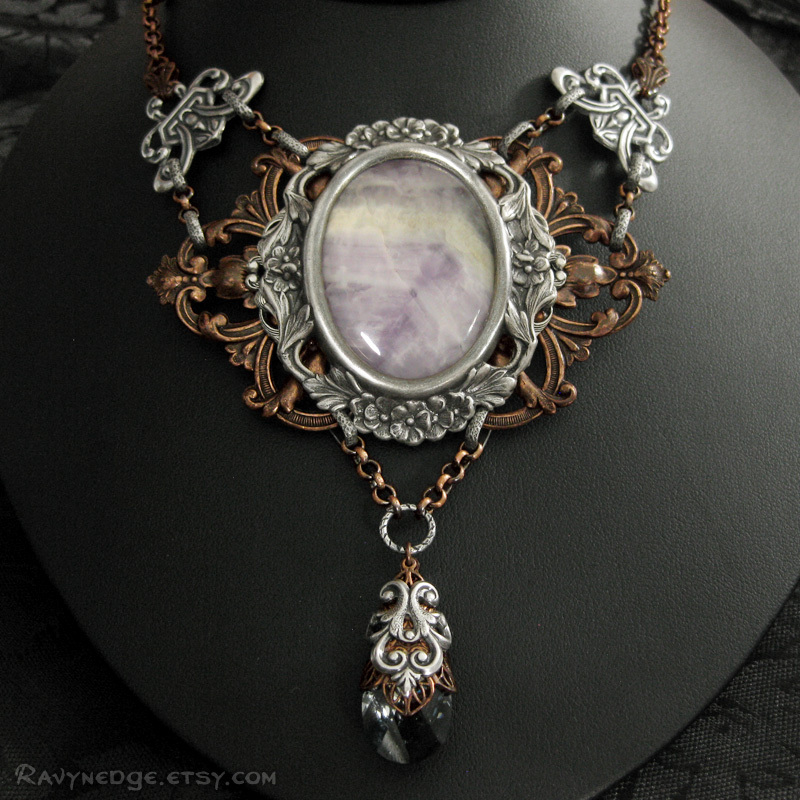 I set the stone within layers of silver and copper stampings. Hanging below, wrapped in luxurious filigree, is a pear dangle of crystal silver night Swarovski. 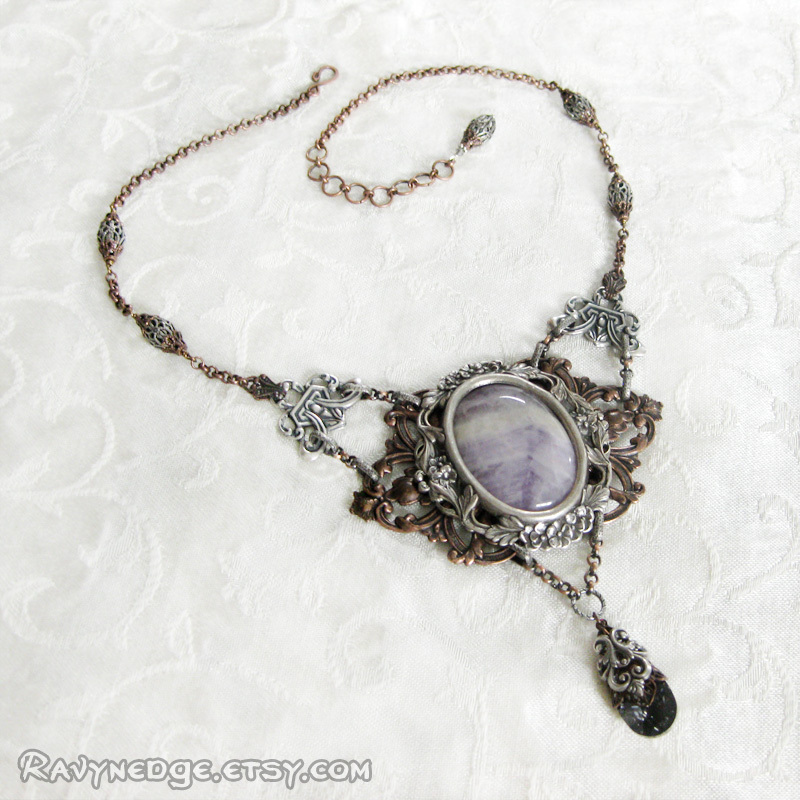 Capped filigree beads accent the chain assembly. The centerpiece is a statement making 2.4 inches (6cm) tall, 4.25 inches (10.8cm) including the drop, and 3.5 inches (9cm) wide. The chain assembly adjusts from 18 to 20 inches (45.7 to 50.8cm) and closes with a hook clasp. 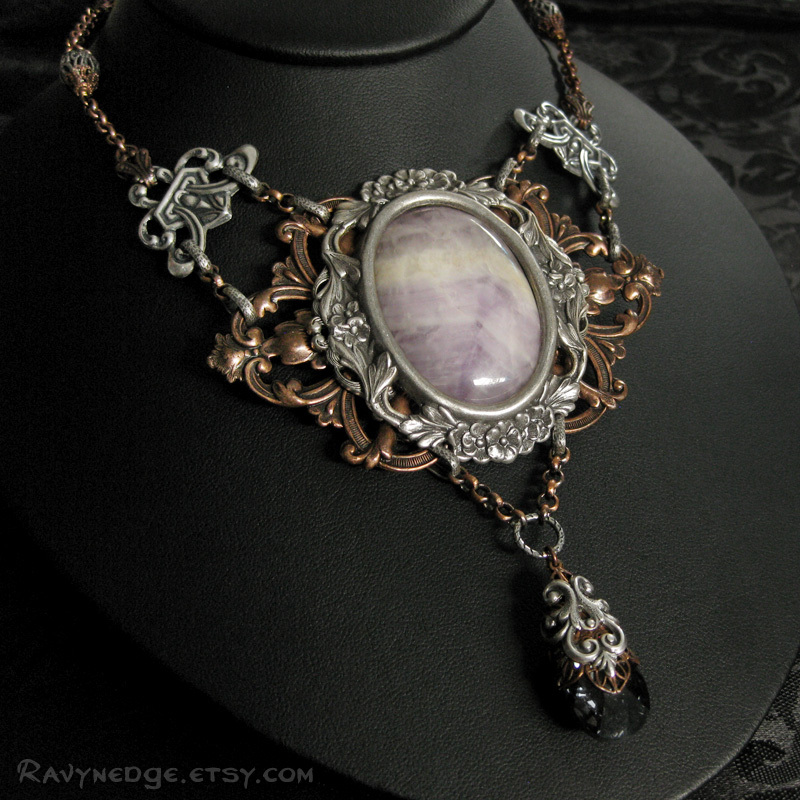 The necklace focal is made of sterling silver plated and copper plated brass. The chains are sterling silver plated or copper plated steel. All metal has an oxidized finish to give that wonderfully romantic and gothic look with a vintage appeal. Nickel free and lead free.